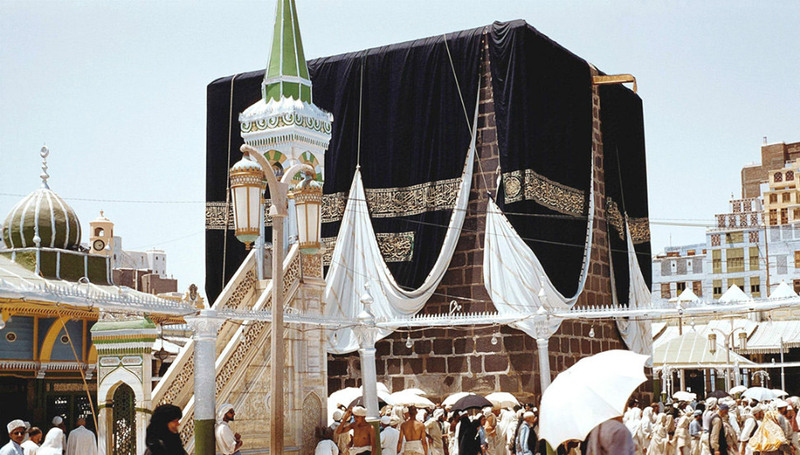 Having completed the Hajj, the Prophet ﷺ left for Madinah on the morning of Wednesday the 14th of Dhul Hijjah. He stayed in Makkah, Mina, Arafat and Muzdalifah for a total of 10 days, having entered Makkah on Sunday the 4th of Dhul Hijjah. Whenever Allah’s Messenger ﷺ returned from Hajj, Umrah or a military expedition he used to pronounce Takbir thrice at every elevation of the ground and then would say: ‘There is no god but Allah, the One Who has no partner. His is the kingdom and His is the praise, and He has power over all things. Returning, repenting, worshipping, prostrating before our Lord, praising. Allah has fulfilled His promise, and given victory to His servant, and defeated the confederates by Himself. '2Al-Bukhari, Hadith No. 1797. 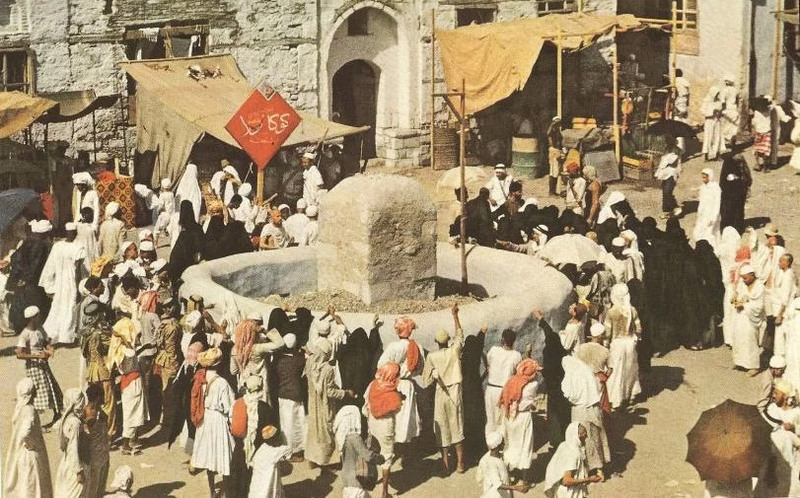 On the fifth day into his journey, on Sunday the 18th of Dhul Hijjah, the Prophet ﷺ stopped at Ghadir Khumm, a place between Makkah and Madinah, near the Miqat of al-Juhfah. Ghadir Khumm served as a point of departure, where the Muslims who had come to perform the pilgrimage from neighbouring provinces would bid farewell to one another before dispersing and embarking upon their own routes back home. 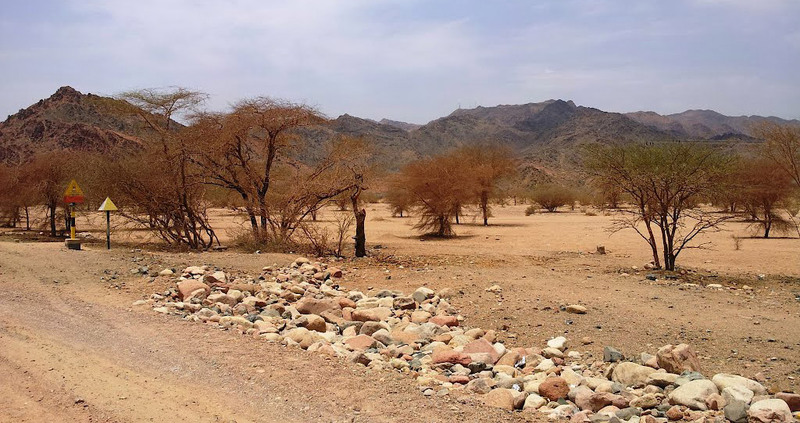 Here, the Prophet ﷺ observed the Dhuhr prayer underneath a tree, before delivering a powerful sermon in which he exalted the virtues and merits of his cousin and son-in-law, Ali I.
I invaded Yemen with Ali and I saw coldness from his part. When I came back to the Messenger of Allah and mentioned Ali and criticised him, I saw the face of the Prophet change. He said: ‘O Burayda, am I not closer to the believers than they are to themselves?’ I said: ‘Yes, O Messenger of Allah.’ He then said: ‘Whomsoever’s Mawla (master) I am, this Ali is also his Mawla. '3Ahmad, Hadith No. 22995. One day Allah’s Messenger ﷺ stood up to deliver sermon at a watering place known as Khumm situated between Makkah and Madinah. He praised Allah, extolled Him and delivered the sermon. He exhorted us and said: ‘Now to our purpose. O people, I am a human being. I am about to receive a messenger (the Angel of Death) from my Lord and I will answer His call. However, I am leaving among you two weighty things. The first is the Book of Allah, in which there is right guidance and light, so hold fast to the Book and adhere to it.’ He exhorted us to hold fast to the Book of Allah. He then said: ‘The second are the members of my household. I remind you of your duties to the members of my family.’ He (Husain) said to Zayd: ‘Who are the members of his household? Aren’t his wives the members of his family?’ Thereupon he said: ‘His wives are the members of his family (but here) the members of his family are those for whom acceptance of Zakat is forbidden.’ And he said: ‘Who are they?’ Thereupon he said: ‘Ali and his progeny, Aqil and his progeny and the progenies of Ja’far and Abbas.’ Husain said: ‘These are those for whom the acceptance of Zakat is forbidden.’ Zayd said: ‘Yes. '4Muslim Hadith No. 2408. We were with the Messenger of Allah ﷺ when we alighted at Ghadir Khumm. Congregational prayer was in order. 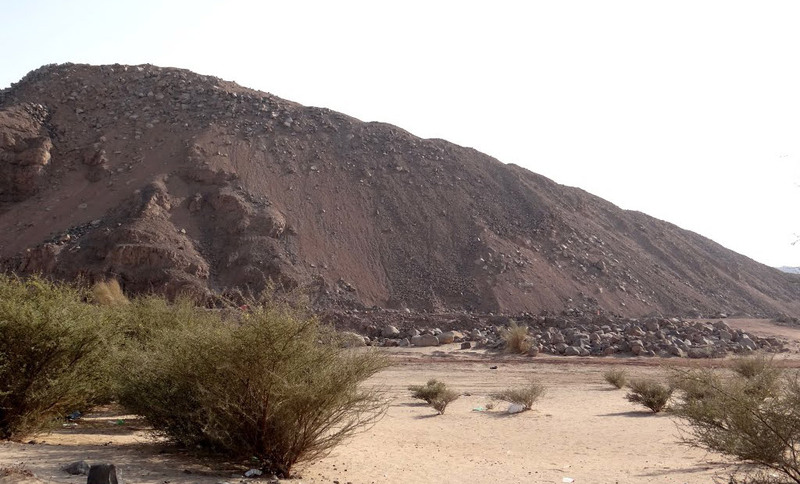 An area under two trees was swept and cleaned for the Messenger of Allah, Allah’s blessings and peace be upon him and his progeny. He offered midday prayers and he grasped the hand of Ali and said: ‘Do you not know that I have superior authority over each believer than the believer himself?’ ‘Yes you have,’ they replied. He again inquired: ‘Do you not know that I have superior right over each believer than the believer himself?’ ‘Surely, you have,’ they answered. Then he grasped the hand of Ali and said: ‘Ali is the Mawla (master) of all those of whom I am Mawla. O Allah! Love those who love him and be hostile to those who are hostile to him.’ Then Umar came to Ali and said: ‘Congratulations, son of Abu Talib. You have become the Mawla of all the believing men and women. '5Ahmad, Hadith No. 18011; Ibn Majah, Hadith No. 2910. The Messenger of Allah ﷺ set out and when he reached al-Rawha, he came across a group of people. He saluted them and asked: ‘Who are you.’ They replied: ‘Muslims. Who are you?’ The companions said: ‘The Messenger of Allah.’ A woman presented her child to the Prophet ﷺ and said: ‘Is there Hajj for this one?’ He replied: ‘Yes, and you will be rewarded. '6Abu Dawud, Hadith No. 1736; al-Nasa’i, Hadith No. 2648; Ibn Majah, Hadith No. 2910. Allah’s Messenger ﷺ would proceed (for Hajj) via al-Shajarah way and return via Muarras way. When he would go to Makkah, he would offer the prayer in the mosque of al-Shajarah and upon his return, he would offer the prayer at Dhul Hulayfah in the middle of the valley, spending the night there until morning.7Al-Bukhari, Hadith No. 1533 & 1799. 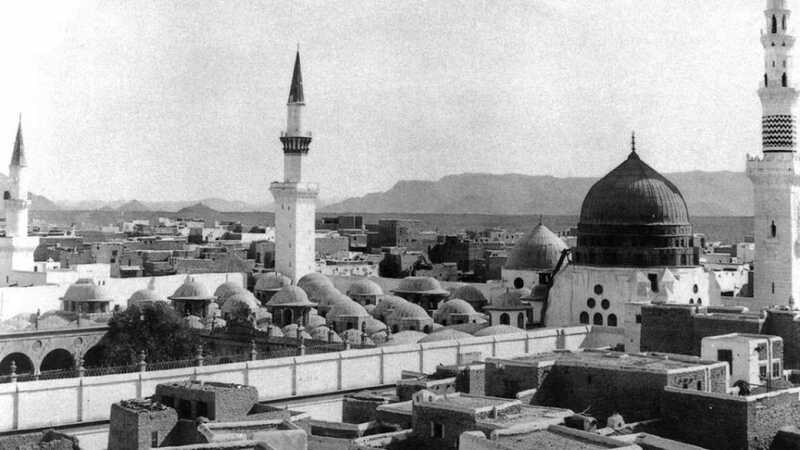 When the Prophet would return from a trip and see the walls of Madinah, he would speed up his riding camel, and if he was upon a beast, he would strike it, such was his love for Madinah.8al-Tirmidhi, Hadith No. 3441. When the Prophet ﷺ returned to Madinah, he would slaughter a camel or a cow.9Abu Dawud, Hadith No. 3747; Al-Bukhari, Hadith No. 3089. The Prophet ﷺ asked her: ‘What prevented you from performing the Hajj with us?’ She said: ‘My husband only had two camels. He took one of them to Hajj, whilst the other one was being used to irrigate our land.’ Upon hearing this the Holy Prophet ﷺ said: ‘Perform Umrah during the month of Ramadan (as it is equivalent in reward to Hajj undertaken with me). '10Al-Bukhari, Hadith No. 1863; Muslim Hadith No. 1256. When the Messenger of God ﷺ arrived in Madinah from the Hajjat al-Wada, he mounted the pulpit, gave praise and thanks to God and said: ‘People, Abu Bakr never did me harm; give him credit for that. People, I am well pleased with Abu Bakr, Umar, Uthman, Ali, Talha, al-Zubayr, Abdul Rahman ibn Awf and the initial Muhajirin. Give them all credit for that. People, preserve me in my companions, my relatives and my friends. God does not seek for you to harm anyone of them. People, keep your tongues off the Muslims, and if one of them should die, then say good of him.'11Al-Tabarani. 1. ↑ Muslim, Hadith No. 1257, 1258 & 1259. 2. ↑ Al-Bukhari, Hadith No. 1797. 3. ↑ Ahmad, Hadith No. 22995. 4. ↑ Muslim Hadith No. 2408. 5. ↑ Ahmad, Hadith No. 18011; Ibn Majah, Hadith No. 2910. 6. ↑ Abu Dawud, Hadith No. 1736; al-Nasa’i, Hadith No. 2648; Ibn Majah, Hadith No. 2910. 7. ↑ Al-Bukhari, Hadith No. 1533 & 1799. 8. ↑ al-Tirmidhi, Hadith No. 3441. 9. ↑ Abu Dawud, Hadith No. 3747; Al-Bukhari, Hadith No. 3089. 10. ↑ Al-Bukhari, Hadith No. 1863; Muslim Hadith No. 1256.